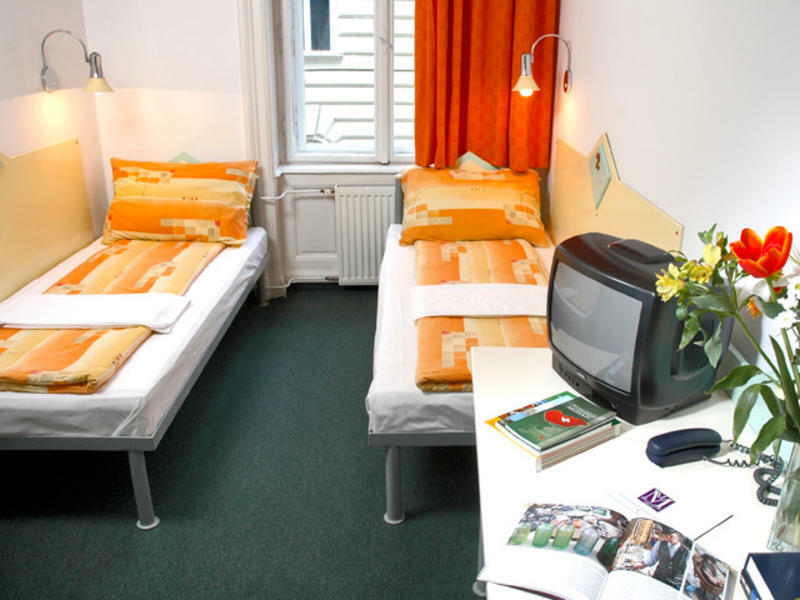 Located in the heart of the city, this is the perfect youth hostel for anyone visiting Budapest, Hungary. The hostel (member of the IYHF) is also ideal for individual travelers and for large or small groups alike. Everybody can find its preferred room type: single, twin, triple, quad or 12-bedded dormitories. All rooms are non-smoking rooms equipped with fire/smoke detector system! May 2011: First steps are being made to become an environmentaly responsilble hostel by being the first using solar energy! Complimentary breakfast is available at our bar from 7 am until 11 am. The average rate is around 3,2 EUR/person/breakfast rate depends on the menu. Breakfast also includes coffee OR tea OR orange juice! By public transportation: at the Airport you should catch the bus nr.200 to KÅ‘bnya-Kispest. From here you need to catch the Metro, you get off at Ferenciek tere and then take bus 7, 5 or 173 east (away from the river) to Urania utca. Walk on to the crosswalk and turn down Nyr utca. The hostel is directly ahead on the left. Alternatively take tram 4 or 6 around the city ring road (krt) and get off at Blaha Lujza tr. From here you can walk 3 blocks East (or take bus 7, 173 or 5 one stop and walk back one block) then turn right onto Nyr utca. The hostel is directly ahead on the left.